Be a STAR! Run for a Vet. Held yearly on the 4th of July. 1K run or 1.1 Mile Walk on the MECCA Trail in Mercer. 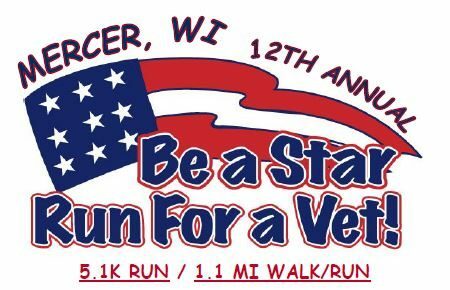 Registration includes t-shirt and proceeds are donated to our veterans’ organizations.